Can you describe the ICT and Telecommunication industry in Ghana? Imagine you are speaking to an international investor, the international community, people that are potentially coming here for business and even nationals. What are the difficulties? What are the positive points here and what is the outlook for this year? We always encourage private capital to flow in, and that is why within the next two or three months we will be floating another Eurobond of one billion Dollars to ensure that we are able to generate a lot more of private capital into our country for investment in strategic sectors. 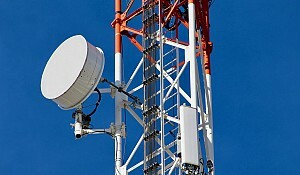 Ghana’s ICT and Telecommunication industry within the West Africa sub-region is touted as one of the best. As we speak now, we have a robust bandwidth capacity which is being provided for by five submarine cables. 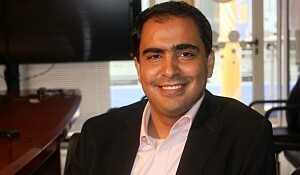 It is in addition to all of the fiber that had been deployed by the Government and the six Telecommunication Companies. We are also enhancing that by constructing a 780km rural optic fiber all the way from Ho in the Volta Region, to Bawku in the Upper East Region, with a loop from Tamale to Yendi. This will run through about 120 communities in the country. 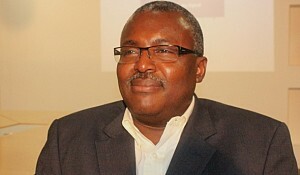 This project is a collaboration between the Government of Ghana and Danida, and it is being executed by Alcatel-Lucent. But we also think that the oil and gas industry must take advantage of the opportunities that ICT offers. For instance, our hydrocarbon potential so far is being exploited off-shore and it is about 60 nautical miles away. About 130 workers go offshore, 60 nautical miles away, and stay there for about 28 days. What this means is that they will require high speed and reliable internet, to be able to communicate with their families, friends and businesses outside of their off-shore area. Unfortunately, satellite communication does not offer the kind of bandwidth capacity that you would expect and so there is a strategy to expand the fiber all the way from onshore to offshore. Because we know about the hydrocarbon map of Ghana, particularly with respect to the offshore area, we are not just restricting ourselves to the Jubilee Field, which is now being exploited commercially. There are other fields, and so our aim within the next 24 months is to build a loop that will ensure that there are points where as soon as future wells are appraised and become clear that crude oil or gas can be exploited in commercial quantities, we can just take some lines from that particular loop and connect them to the FPSOs. There are several advantages to be derived from this project. One of them is that the Ghana Revenue Authority will be able to track in real time through Vessel Tracking, Monitoring and Information System, how many barrels of crude oil have been produced and for that matter how much revenue should accrue to the government of Ghana. Also, the workers on the oil rigs and the FPSOs are going to be able to improve on their quality of life by communicating reliably with their families and friends and their businesses elsewhere. Also, and perhaps most importantly, in terms of tracking the movement of gas and crude oil underneath the sea, you require high speed internet, and appropriate bandwidth to devise strategies and technologies that will enable you maximize yield. So our aim is that, within the next 24 months we should be able to engage the private sector to ensure successful realisation of this goal. We’ve just returned from an interaction with Vodafone and I put this on the table. We will continue to engage others. Alcatel-Lucent of Denmark seem to be expressing interest in this infrastructure that we want to lay so that there can be better alignment of the hydrocarbon industry and the ICT and Telecommunication industry in Ghana. In addition, we are also improving on the wireless bandwidth capacity. As we speak now, we have 29 WiMAX sites. We are converting all of these 29 sites to LTE, that is Long Term Evolution. We intend to build 60 additional LTE sites in addition to what we have. Because LTE has superior advantage in terms of providing higher speed and higher resolution, it is going to make handling of data in Ghana much better than we have had in the past. This also lends itself to several opportunities in terms of e-services: e-commerce, e-justice, e-payments and e-parliament. We are building a system which is almost at the point of completion. It will allow the Ghana Revenue Authority interoperate with the Registrar General’s Department as a result of the interconnectivity that we are building between these two bodies. By the end of this year we should have completed a National Data Center which is going to ensure fusion of sectors. Through the National Data Center platform, one will be able to appreciate the linkages between: e-justice, e-parliament, e-security, etc. Capital will always move to areas where peace can be ensured. So our aim is to make Ghana the country in West Africa where if an investor came in, you are sure that, just by the mere fact that you are registered with the Ghana Registrar General’s Department, through the National Data Center, the Ghana Investment Promotion Centre (GIPC) knows you, the Free Zones Board knows you, the Justice system knows you, the Security system knows you, the Legislature knows you because there is a National Data Center that fuses all of these together. It looks like everything is going smoothly. You have a very good plan to attract even more interest from abroad with all of these programs that you are doing. What do you need? What we need is an enhancement of what we have at the moment. We have the human resource, we have an appreciable amount of investment that is being utilized judiciously - I did mention the 780km rural optic fiber 37 million Euro project. The oil and gas sector broadband project is estimated to be between 25-30 million Euros. So we need more investments and also more technological and human resource to assistance. We already have the political will. Do you mean private or other country’s investments like a private-public partnership? Ghana has a strong system that ensures that private and public partnerships are managed for the mutual benefit of stakeholders. The assurance is that there is a whole document that has been developed and which is being implemented by the Ministry of Finance. As much as possible, we always encourage private capital to flow in, and that is why within the next two or three months we will be floating another Eurobond of one billion Dollars to ensure that we are able to generate a lot more of private capital into our country for investment in strategic sectors. What about the human resource aspect? How do you expect this to be solved, by companies coming and exchanging technology and training your people? In addition to building the optic fiber project is the National Data Center. What we have agreed is that the foreign company that is building the Data Center will transfer technology. 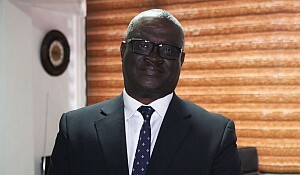 We are not going to perpetually depend on external sources to be able to manage the Data Center, and so to that extent, almost every contract that we sign looks at how best we can ensure a perfect mix of the Ghanaian human resource and the foreign human resource to allow for interactivity, transfer of knowledge and technology. So you expect these companies to come and of course to do a training and their due diligence regarding that. 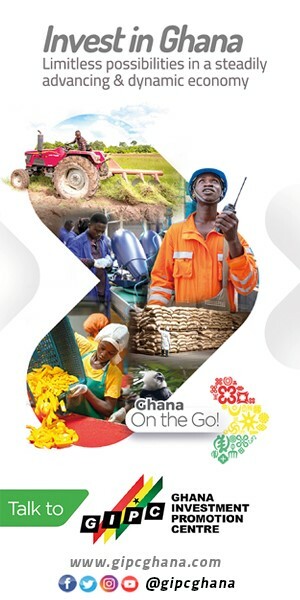 What do you think would be Ghana’s competitive advantage? 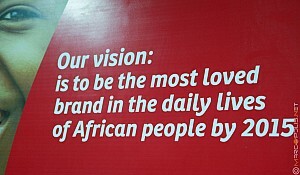 Why should these companies focus more on Ghana than somewhere else in the region with a larger market? The advantages in Ghana first have to do with the leadership. We have a Leader, President John Dramani Mahama, who has been Minister for Communications before. 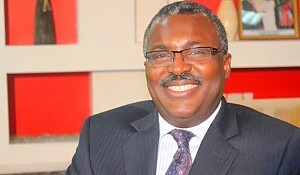 It was indeed under his tenure as minister that he revolutionized the telecommunication sector in Ghana. Today, he is the number one man of the country; he is the president and is very much interested in opening up new opportunities in the ICT sector. So there is a clear leadership in terms of exploiting ICT and Telecommunication as a catalyst, and as a driver for our national development agenda. In almost every sphere of our national life, we are looking at how best we can use ICT to enhance it. That is point number one. The second point has to do with: I did mention that capital will always go to environments where its peace can be ensured. Ghana continues to be an oasis of peace in the sub-region. Since 1992, there have been series of successful elections and the beauty of this has to do with the fact that different political parties have handed over power to different political parties and vice-versa. This is rare in sub-Saharan Africa and the dividend of this kind of democracy is invaluable. To demonstrate how Ghana continues to be a safe haven for the telecommunication industry is for you to maybe analyse how come a country with a population of 24.5 million houses six Telecommunication Companies? I mean: MTN, Vodafone, Tigo, Airtel, GLO and Expresso. In addition to this, in a country of 24.5 million people, the number of SIM card subscriptions, as we speak now, is over 26 million. What this means is that on average, almost every Ghanaian has a SIM card, but if you are to standardize, it is about the fact that 16 to 17 million Ghanaians have SIM cards, because others have more than one SIM cards. This is definitely a country that easily adapts to the opportunities that ICT and Telecommunications offer. You need the people, you need the environment and you also need the investments to be able to have a synergistic relationship. Last but not least, our President is committed to ICT and Telecommunication being the driver, the catalyst and the enabler of our national development. All these favourable conditions have converged in Ghana now. What is your vision for the future of Ghana? What would you like to have achieved and even more, what is your dream for Ghana? In the end, we would love to see a country that has developed into an advanced human society in all sectors: Health, Education, Agriculture, Commerce, Trade, Mining, with ICT and Telecommunication and for that matter STI being the driver of its development.